You can take care of the price for shipping of your orders. 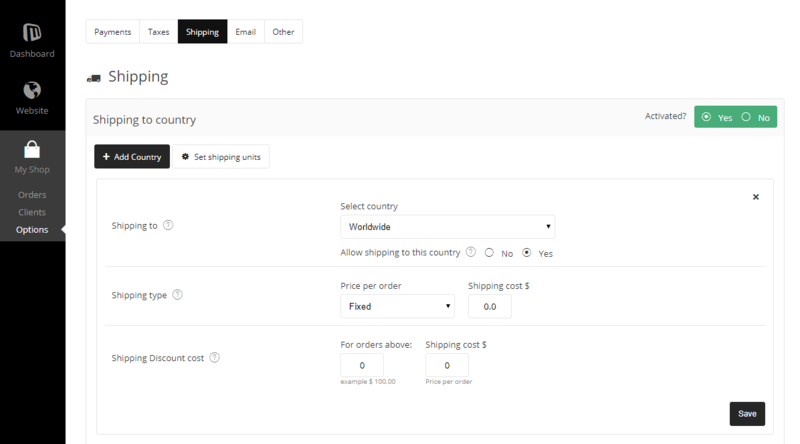 This is how the shipping options functionality looks like. There is a select country options, Shipping price and discounts for orders and total cost. You can also set up different measuring units. orders from all over the world. use them automatically. Make more business!